Picture of West Pier, Brighton, Sussex - the only Grade I listed pier in Britain. 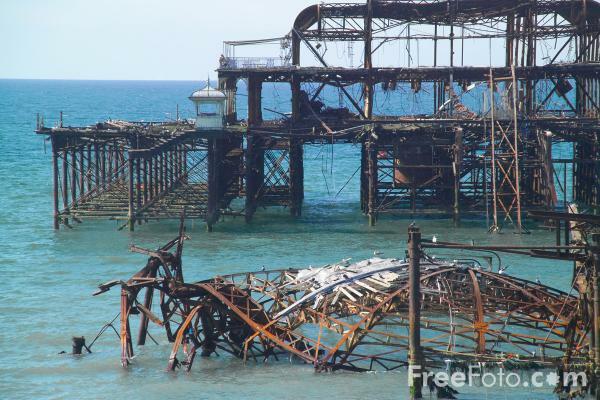 The West Pier has been closed to the public since 1975 because of fears it might fall down. Over the years the West Pier's disintegration has been speeded up by the battering of stormy weather and arson. The West Pier was designed by Eugenius Birch and was completed in 1866 as a promenading pier. VIEW: More images from the category West Pier , Brighton, Sussex or around the same time .